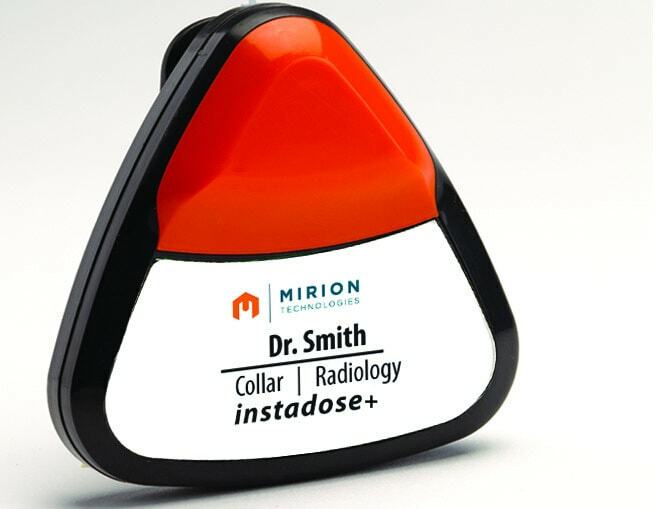 Stephen Green and Associates Limited are a registered distributor of Mirion Technologies Dosimetry Services and can provide you with all the necessary monitoring devices for your requirements. The technology in the instadose+ uses bluetooth to transmit and upload real time data to the website via a smart device (phone), PC or hot spot, giving immediate access to dosimetry data. The badge will be automatically set to upload monthly, all you have to do is turn on the app. If you ever miss the upload day, or you have a query about your dose and want to check whether a dose has been received, an additional manual upload can be done at anytime. There is also no need to collect, post and return the dosimeters, they can be kept for many years, basically for as long as the battery lasts, at which time they will be replaced by Mirion, making them very cost effective. For further information or to request an order form please contact either Charlotte or Liz at the email address below.